The African sacred Ibis is a bird belonging to the order Pelecaniformes and comes from the same family as spatulas. It is characterized by a white plumage, both bare black head and neck. The tip of its wings is black, like the lower back. Its beak is, in turn, thick and curved. It is a bird with an average size of 165 to 190 centimeters with a wingspan of 112-114 centimeters. It weighs between 1.250 and 1.500 kg. When flying, the underside of its wings reveals white part, the lower covers are characterized by a brown band, and the end of the flight feathers are black. Youth Sacred Ibis have their head and neck covered with feathers until age 2 to 3 years. 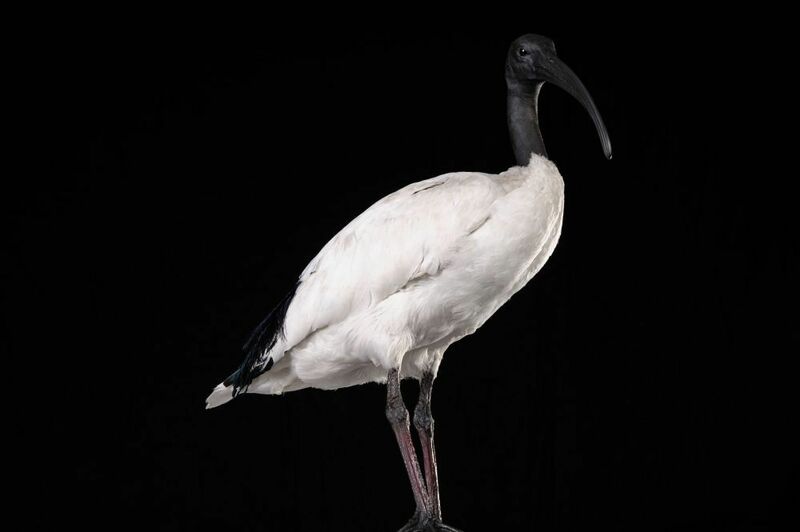 If certain populations of sacred Ibis are sedentary, others are more nomadic. Those who live in Africa can even migrate 1500km. We find this bird in particular agricultural and wetlands, as well as in food dumps. It is dependent on more than 80% of grassland covered mainly herbs and fresh water, including estuaries and shallow marshes. It is, moreover, suitable for a wide variety of artificial habitats, such as farm tanks and sewers. 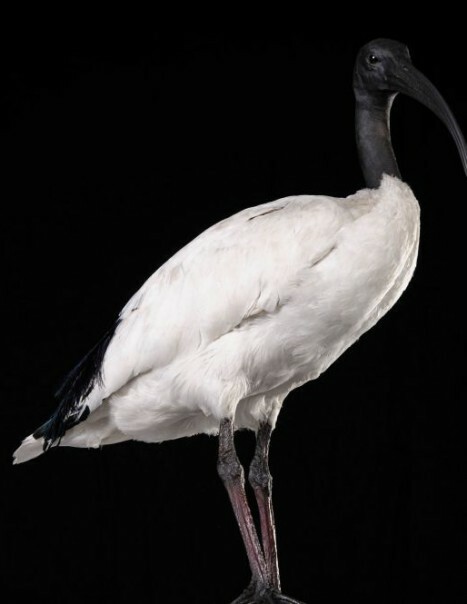 In the past, the African sacred ibis was common in Egypt; it was the symbol of knowledge and god Thoth. It has disappeared overthere since the mid-19th century. Today, its main breeding areas are sub-Saharan Africa and south-eastern Iraq. Some colonies also exist in the western part of Madagascar. Furthermore, the populations observed in France are feral, that is to say, birds that escaped captivity and returned to the wild. They occupy the Atlantic coast since the 80s and the Mediterranean coast since the 90s. Feeding mainly on mollusks, frogs, lizards and fish but also carrion, waste and seeds, Sacred Ibis is a formidable predator of eggs and chicks of birds (terns, black tern, cormorant Cape, domestic chicken …), which often poses a real problem of conservation of this natural heritage. While in France, the breeding season is from April to June in South Africa, it coincides with the rain peaks. The female lays eggs in a nest made mostly of branches, 2 to 4 eggs that hatch occurs on average 28 days later. The chicks fledge between 14 and 21 days and fly after 40 days. However, it is not uncommon for non-viable chicks, which causes most couples to undertake a new brood.